Experience the magic of Yacht Sailing with this wonderful weekend on board, learning all of the skills and techniques en route to gaining a certificate. Enjoy the waters, all weekend! 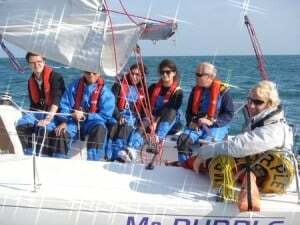 The RYA Start yachting course is perfect for beginners as the full weekend course introduces you to more then just the basics of sailing. While out on the beautiful waters off the Brighton & Hove coast you will be under the watchful eye of an expert instructor as you discover the thrill and tranquillity of sailing. By the end of your action packed weekend, you will have also gained the RYA 'Start Yachting' certificate that counts towards the 'competent crew' certificate.Once you have arrived and been welcomed to the centre, the course will start when you meet your skipper, crew mates and vessel for the weekend. This great Yachting course will provide a relaxed and friendly introduction to yachting, and over the weekend you will learn about steering a yacht, rope work, sail handling and be made aware of safety on board. You will be expected to 'muck in' over the weekend and you may get a chance to dazzle your crew mates with your cooking skills! When you have completed the course successfully, you will receive an RYA 'Start Yachting' certificate, whilst the time you have spent on board can be put towards the 'Competent Crew Course' if you wish to continue with your training. Start Yachting is available on selected weekends throughout the year. Must have a basic level of fitness. The course is a minimum of two days, please check with the centre for exact times as these can vary slightly. 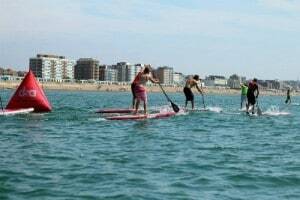 Participants: The Start Yachting Weekend - Brighton is for 1 participant. There will be a maximum of five students per instructor. Be prepared for changeable weather, with plenty of layers. Be aware that everything is capable of getting wet! Take a Sleeping Bag & Pillow and aTowel - showers will be available at any marina’s you pull in to and a basic toilet and washbasin will be on board. Food will be supplied on board, cooking duties will be shared. Bring spending money for any meals out and drinks. Limited space on board, bring one large bag only. Sailing can be weather dependent, please check with the centre on the day to ensure it is going ahead.